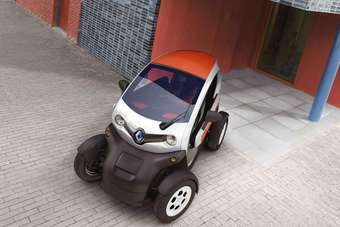 The great EV retailing experiment continues, with Renault's UK importer having just revealed plans to launch the Twizy with a separate batteries-only lease. The base version of this tiny car will cost £6,690.00, to which a monthly battery hire charge of £40 (including consumption tax) will be added. The lease deal is for three years and you can't exceed 4,500 miles per annum. So why not just include the batteries in the car's price? Does Renault plan to offer buyers pricier cells that have a longer range? The company isn't saying but it seems likely, in the same way that Tesla believes there will be customers willing to pay many thousands of dollars more for the longer-range versions of its forthcoming Model S.
The Twizy goes on sale in France in December, with cars for the UK due to be launched in March.